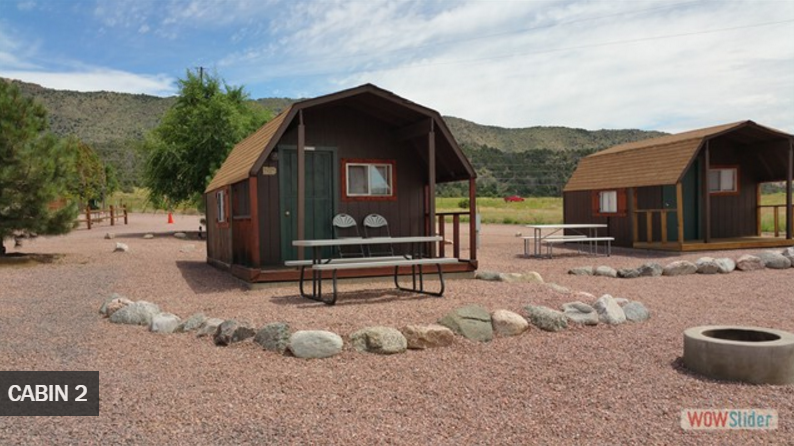 Mountain View RV Resort is nestled right in the middle of the Royal Gorge Region in Canon City, Colorado. Guests love the amazing views and close proximity to popular attractions at this pet-friendly seasonal campground. Family members of all ages will be able to take part in the amazing outdoor recreation and adventures available in this gorgeous area. Campers have their choice of standard, deluxe, or premium RV sites depending on their needs and camping style. All sites are full hook-up and feature level parking, picnic tables, and views of the surrounding mountains. The deluxe and premium sites offer more space, concrete patios, landscaping, fire pits, and the best scenery at the resort. More of a cabin person? Mountain View offers standard and deluxe cabins that can accommodate up to 4 people. The cabins include electricity, picnic tables, and fire pits. Restrooms and a bathhouse are located nearby for convenience! All campers have access to laundry facilities, a playground, great WiFi, 2 dog areas, basketball, shuffleboard, and more! There are a number of fantastic attractions located near Mountain View. 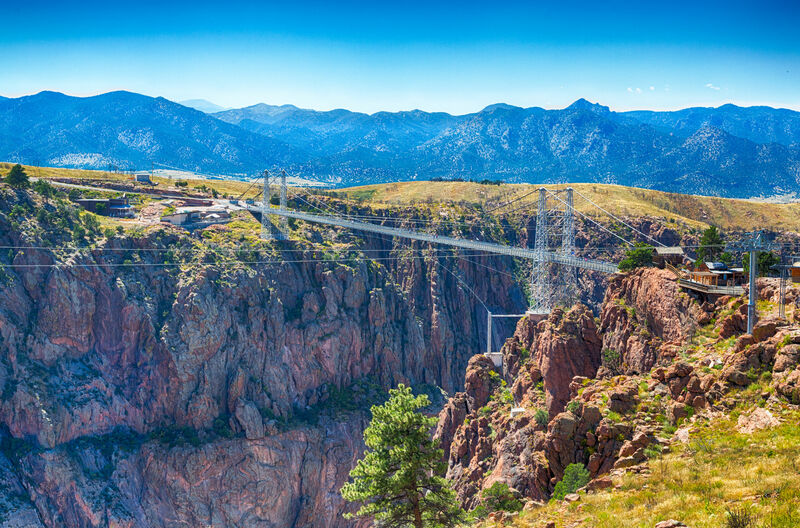 The most popular destinations include Royal Gorge Bridge and Park, Royal Gorge Train, Royal Gorge Dinosaur Experience, and Seven Falls. Excellent day trips in the area include Pikes Peak, Garden of the Gods, and Colorado Springs. There is no shortage of outdoor recreation near Canon City. Favorite activities include fishing, whitewater rafting, hiking, wildlife viewing, climbing, zip-lining, hunting, and horseback riding. Nearby you will also find great restaurants, gambling, and plenty of fabulous shops. 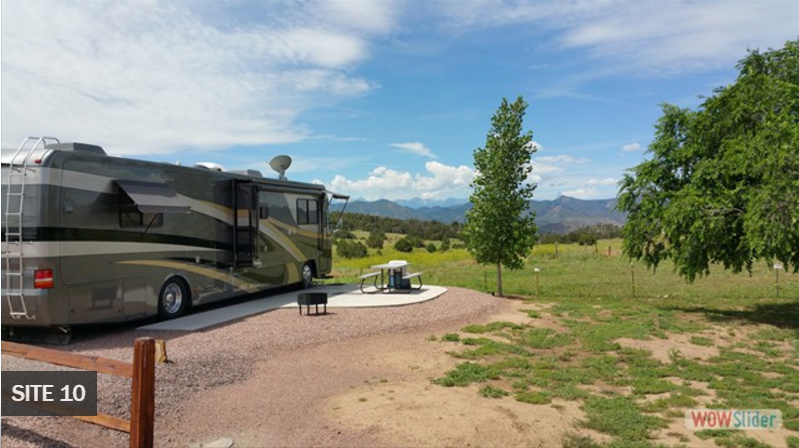 Mountain View RV Resort is the perfect destination for those planning to explore some of Colorado’s most popular attractions. 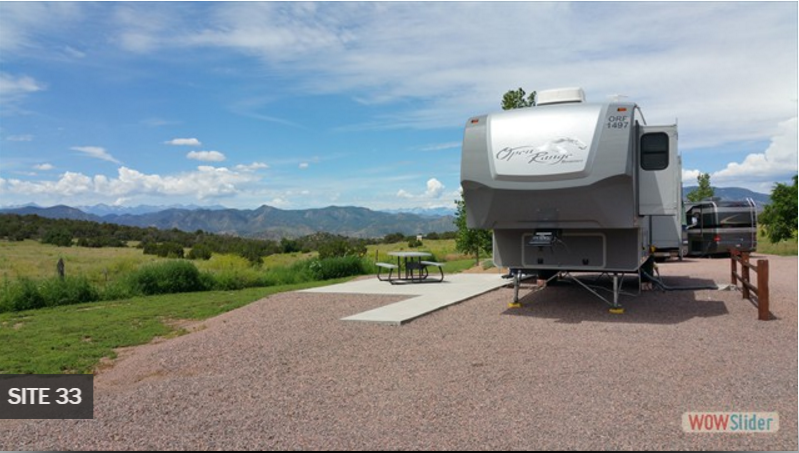 With great views, spacious RV sites, cozy cabins, and excellent amenities, Mountain View is a great choice for families, couples, friends, and individuals camping in Colorado. Book your stay today on Camp Native!